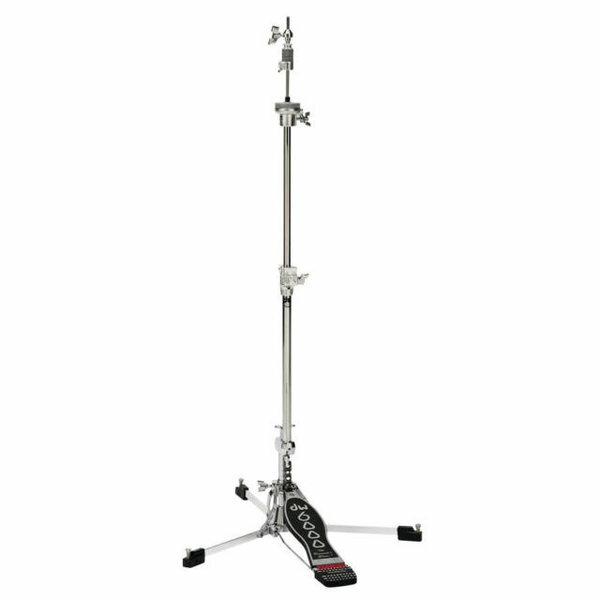 The DW 6000 Series Hi-Hat Stand packs a huge load of design features into a total weight of just 6.7 pounds. The unique Offset Direct Pull Linkage allows smooth and effortless action, which can be easily customized with the Spring Tension Adjuster. Like all 6000 Series Hardware, the 6500 Hi-Hat Stand starts with DW’s versatile, Flush Base design for sturdy and easy positioning. It comes with two pull rods of 21” and 15” lengths, Hinged Memory Locks, Locking Clutch, and DW’s patented Delta Ball-Bearing Hinge.